There is a big chance that you will experience at least one rainy day in Rotterdam. Unfortunately the weather in The Netherlands can be quite unpredictable and we often have four seasons in a day. Most Dutch people are used to the weather and are equipped with a good umbrella and rain coat. You’ll be surprised to still see many locals riding their bikes outside on the worst rainy day you have ever witnessed. Don’t feel like getting wet? We understand. But, don’t let a very rainy day hold you back on doing anything fun. 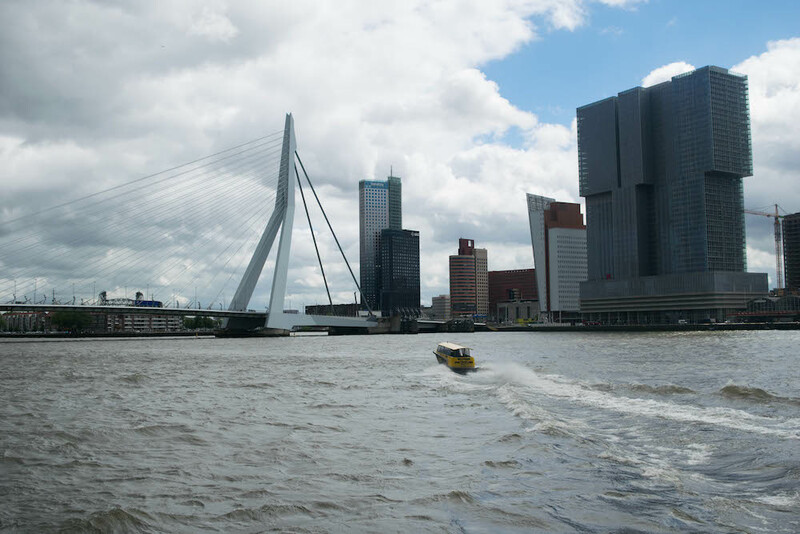 In this article we list 8 things to do on a rainy day in Rotterdam. This first tip is quite obvious. But, there is no better time to visit a museum in Rotterdam than on a rainy day. Luckily, Rotterdam has lots of cool museums. We recommend a visit to Museum Boijmans van Beuningen and the Kunsthal to see one of their current exhibitions or explore their permanent collection. And did you know that the iconic Cube Houses also have a museum? You can explore one of the Cube Houses from the inside, nice and dry. Pretty cool right? Other than that there are many more museums that you can visit! Have a look at our Art Route in Rotterdam to find more galleries and museums in Rotterdam! Raining or not, if you’re a tourist in Rotterdam you should visit the iconic Markthal. Luckily, the Markthal in Rotterdam is the first covered market in the Netherlands, so an excellent place to hide from the rain! At the Markthal you will find fresh and varied food. In total there are around 90 stalls, 20 shops and restaurants. If you aren’t looking for anything to eat, drink or buy, we still recommend you to visit this already iconic place. Because the Markthal is a pretty cool building; from the outside and inside, making it an excellent spot to explore and take some photos. Nothing better than reading a book and drinking some tea or coffee during a rainy day in Rotterdam. 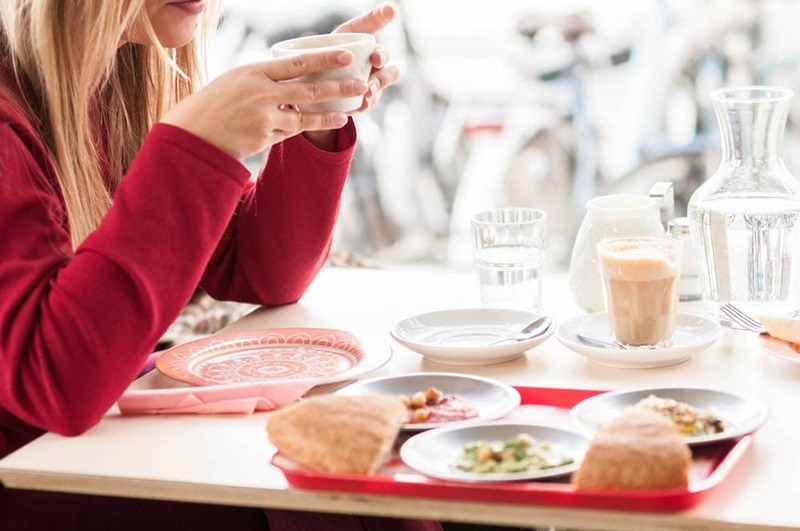 There are plenty of cozy places in Rotterdam that you can choose from! Wes Eettentje is a great option. This hotspot is named after director Wes Anderson and that is reflected in their interior in three different themes. The first area has a cafeteria-like appearance with a display case and signboard based on The Grand Budapest Hotel. Further on in the restaurant you can picture yourself in the train compartment of The Darjeeling Limited and in between you can relax at The Royal Tennebaums. A great place to spend a rainy day in Rotterdam. Also, be sure to check out these great coffee places in Rotterdam. In Rotterdam we are quite prepared for the rain. For instance, at the Lijnbaan and Koopgoot you can shop without having to walk in the rain, because there is a roofed area next to the shops. 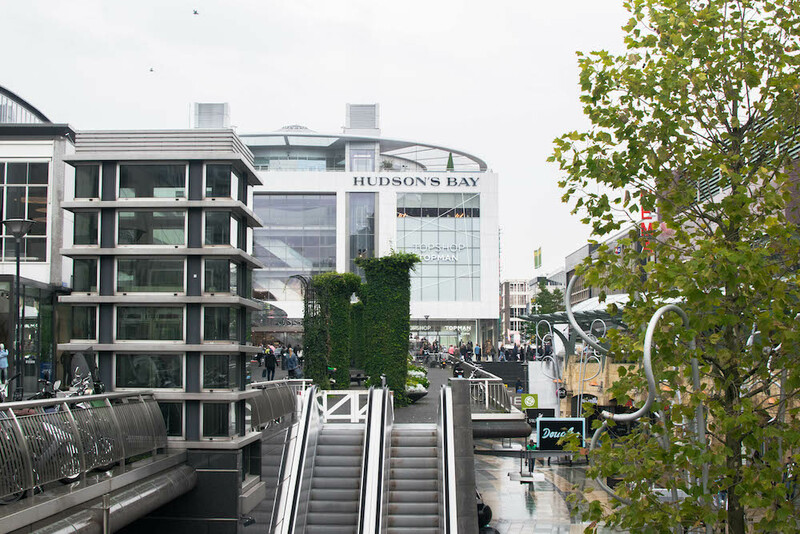 You can also visit the newly opened department store Hudson’s Bay, which is located at the end of the Koopgoot. If you want to stay completely dry, we recommend to shop at one of the shopping malls such as Alexandrium or Zuidplein. We also recommend to check out our Shopping Route in Rotterdam in order to get the most out of your shopping day! 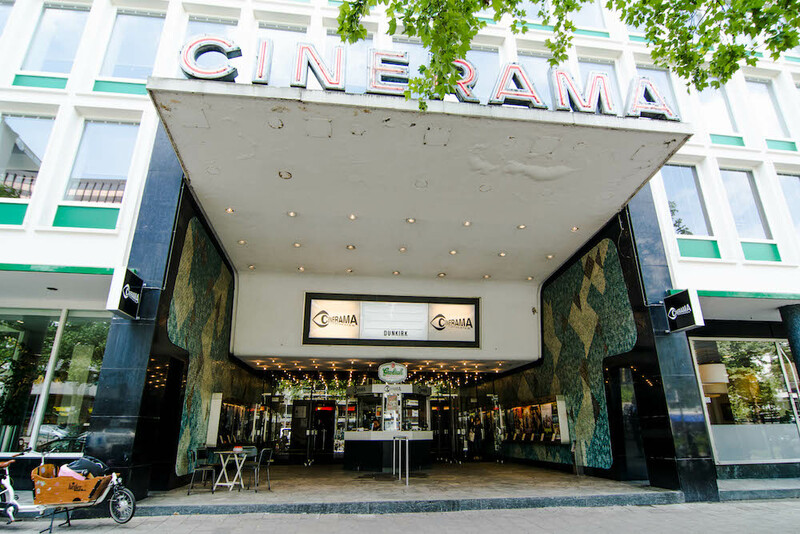 The perfect time to visit one of the local cinemas in Rotterdam! We have some cool smaller cinema houses, such as Cinema, Lantaren Venster and KINO. At KINO you can also hang out at the bar and grab a bite to eat. Of course there is also the option to go to Pathé and watch one of the current blockbusters! Luckily Rotterdam has a wide variety of indoor pools! Having a swim indoor is a great way to stay active when it’s cold and rainy outside. There are swimming pools with fun recreational sections for children, but also pools that include saunas and steam cabins. You can find a list of all the pools here (only in Dutch). 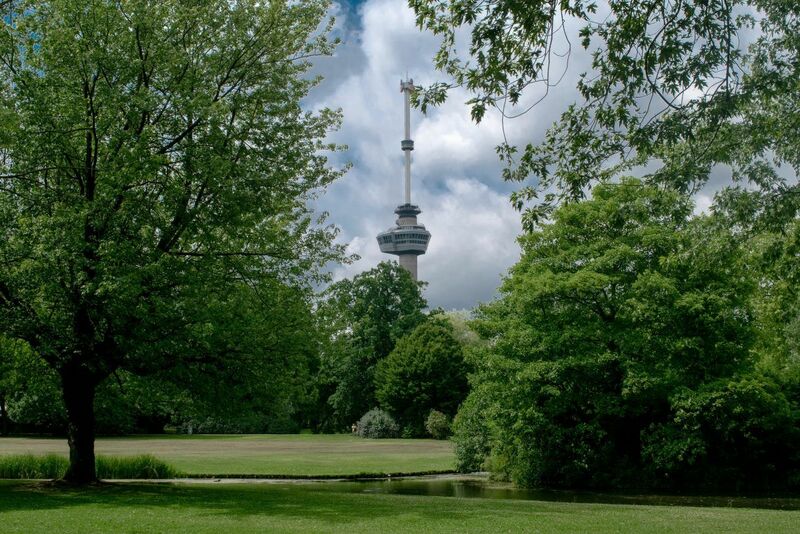 The Euromast is an absolute must visit in Rotterdam. With 185 meters it’s the highest building of the Netherlands. There are plenty of reasons to go to the Euromast on a rainy day. For instance, you can enjoy the view from the inside while enjoying hot drinks and good food. At 112 meters high you can enjoy a panoramic view, but unfortunately it’s not a covered area. Luckily, if you brave the rain with an umbrella you can quickly go to the Euroscoop. With the Euroscoop you can go to the highest point of the Euromast in a nice and dry rotating cabin. 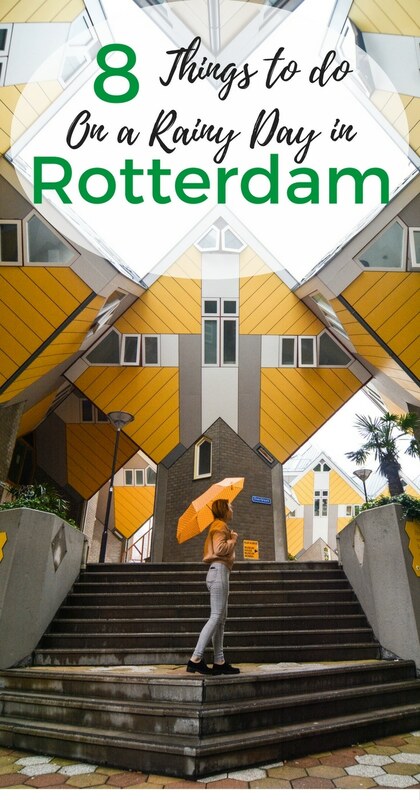 Another fun activity on a rainy day in Rotterdam is going on a Spido Tour! With Spido you go on a covered boat on the waters of Rotterdam. The Spido has various tours you can choose from: the Rotterdam Harbour Tour, Day Cruise Maasvlakte 2 and Hop on Hop Off. 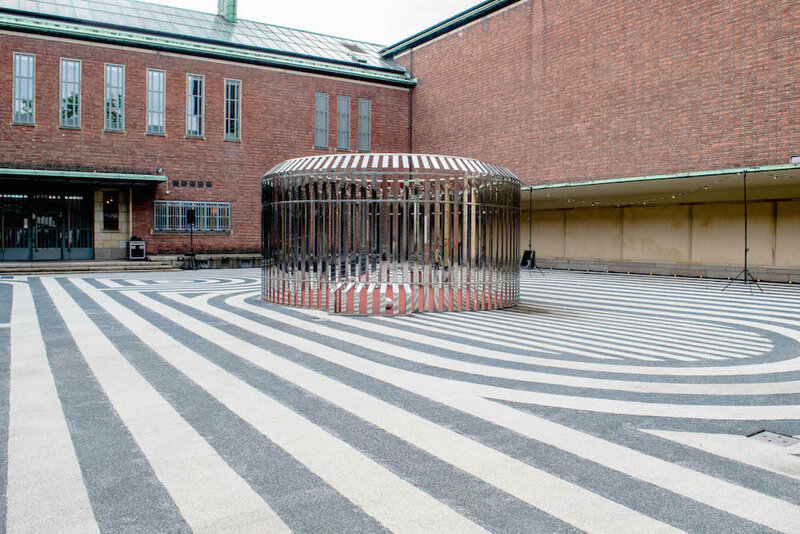 Plus they also offer combination tickets with other activities such as a visit to Maritime Museum or the Euromast! Get more information on Spido’s website for information about their tours and tickets. These were the 8 things to do on a rainy day in Rotterdam. Again, don’t let rain ruin your fun in our city! Let us know in the comments if you have any fun ideas for activities on a rainy day.